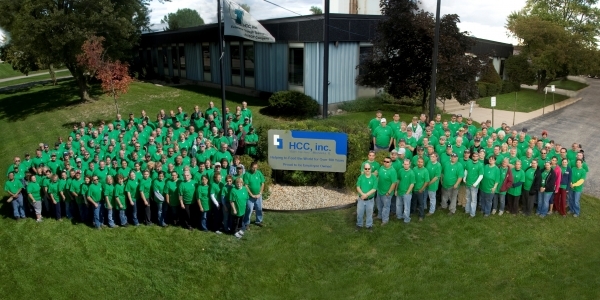 About Us | HCC Inc. Since 1883, HCC has been a major innovator in agricultural harvesting equipment and farm equipment products, with the invention of the first commercial grain weigher, the H.D. Hume pickup reel, and the floating cutter bar. Over the next century, the company expanded, diversified and merged with other cutting-edge agricultural firms to grow into the world's largest producer of reels, sieves and chaffers for combines. From our early days of Hart-Carter products, this company, which began with the vision of a Midwest farmer and a storekeeper, has held a close association with the market place to insure that every product is focused on productivity for harvesters. 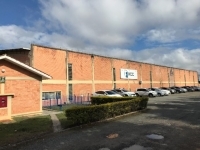 In September 2012, HCC, inc., started it’s operation in Curitiba Brazil to become the market leader in the production of HCC designed reels and sieves in South America. 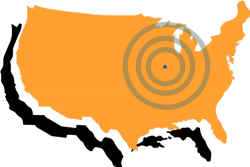 With this expansion, HCC, inc. is now the industry leader in the design and manufacture of reels and sieves for the North American and South American combine markets. 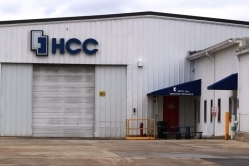 HCC Curitiba is the third addition to the HCC, inc. corporate family. Triple-C, located in Sabetha, KS, acquired in 2005 manufactures the HydraBed for the Cattle Industry and the Reel Lift Bed for the Utilities Industry. Shaver Manufacturing in Graettinger, IA, acquired in 2008 manufactures attachments for Skid Steer and 3 Pt. applications. Today, HCC manufacturers agricultural harvesting equipment such as reels, sieves, chaffers and other innovative products for every combine need. We supply sieves, chaffers, and reels to original farm equipment manufacturer for most every make and model of combine. We work closely with these manufacturers to match our products with combine specifications and capacities. HCC continues to develop and test new materials and new products designed for performance. With over 100 years of experience and advances in technology, no one is more prepared to meet the needs of tomorrow's farmers.